This double-layer top designed by Laise Adzer is still manufactured by the family that crafted her catalog in Morocco! 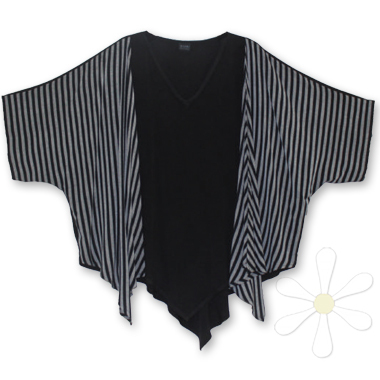 Its fabulous figure-flattering center-point hem and flowy jacket-like panels in woven stripes define this one-of-a-kind piece! For measurements and details see our regular PADMA page.